"Advancing EJ in New Jersey through Collaboration and Strong Partnerships"
A new report on community access to local news in New Jersey has revealed one more way democracy is being undermined by economic inequality: Judging by access to critical local news and information, poor communities are “dramatically under-served” compared to wealthier ones, the report concludes. The Federal Communications Commission (FCC) has described “critical information” that community residents must have for democracy to work – and this study reveals how low income communities and communities of color are being shut out. Morristown: Population 19,000; 62 percent white; median household income, $71,000. Among these typical New Jersey cities, economic disparity correlates with an astonishing gap in access to essential news and information. For example, relatively wealthy Morristown supports six journalism sources per 10,000 residents; New Brunswick has 3.5 and Newark has 0.6. In other words, the wealthiest (and smallest) of the three cities supports 10 times as many sources of news and information (per 10,000 residents) as the poorest of the three. Not surprisingly, this disparity in number of news sources translates directly into disparities in journalistic “output” (total combined stories on the web, plus postings on Twitter and Facebook). During the seven days that the Rutgers group analyzed, news sources in Morristown produced 541 stories per 10,000 residents, compared to 181 in New Brunswick, and only 26 in Newark. Of these, in Morristown, 461 stories were deemed “original” (not rehashed from other sources), compared to 145 in New Brunswick and only 20 in Newark. The situation looks even worse when examining journalism that focused on local issues. In Morristown, 42 percent of stories had a local focus; in New Brunswick, 28 percent, and in Newark, only 15 percent. Members of the New Measures Research Project at Rutgers used “content analysis” to examine the routine output (plus social media posts) of standard news outlets – radio, TV, online and print – in the three cities. All together, they analyzed 2,679 stories (1,028 on the web and 1,651 on social media) during seven non-consecutive days selected at random during the month of January, 2015. As we have seen, the Rutgers group analyzed the defining aspects of the “local journalism ecosystem” in each city: (1) how many local news sources exist; (2) the quantity of journalistic output by these sources, plus the extent to which their output is (a) original and (b) about local issues. Importantly, the Rutgers group also analyzed the quality of local journalism, to judge how well local sources are meeting the “critical information needs” of residents. “Critical information needs” comprise the information that is essential for citizens of a functioning democracy, as defined by the Federal Communications Commission. For details, see Table 1. (8) political life – who’s who, what’s what and opportunities for residents to find out what’s going on and participate. From the viewpoint of generally meeting a community’s critical information needs, in Morristown, 329 stories per 10,000 residents (61 percent of all stories) measured up; in New Brunswick, it was 104 stories (58 percent of total); and in Newark, 10 stories (38 percent of total). Analyzing for stories that met critical information needs about local conditions, Morristown had 187 stories (35 percent of total) per 10,000 residents; New Brunswick had 35 stories (19 percent); and Newark had 3 stories (12 percent). Although this study examined only three cities, it’s hard to avoid the conclusion that, if you are a person of color or of low income in New Jersey, you are likely being deprived of the critical information you need to participate effectively in a democracy. Is New Jersey unique? It seems unlikely, but no one can say for sure. One of the main purposes of the Rutgers report was to develop and describe a standard way of analyzing a “local news ecosystem,” which could then be applied anywhere. Other college journalism departments could take up the challenge and replicate this study in their own locales. Then we could know whether New Jersey’s distorted “news ecosystem” and degraded democracy are typical of communities across the US. The invasion of sewer flies moved residents of University Place subdivision to turn to the U.S. Environmental Protection Agency for help. Darting from a neighboring sewage plant, the flies descended upon the mostly African-American neighborhood in Baton Rouge, Louisiana, with such regularity that one resident posted this warning sign: Beware of attack fly. In 2009, residents grew so sickened by the flies, odors and pollution emanating from the city’s North Wastewater Treatment Plant that they sought out the federal agency that has touted the importance of tackling environmental racism. “The citizens of University Place Subdivision are still suffering through the dreadful, unhealthy, and downright shameful conditions forced upon this community,” wrote Gregory Mitchell, whose mother, Mamie, erected that attack-fly warning atop her home, in a complaint filed with the EPA’s Office of Civil Rights. A little-known niche within the EPA, the civil-rights office has one mission: to ensure agencies that get EPA funding — like the city of Baton Rouge — not act in a discriminatory manner. The mandate comes from Title VI of the federal Civil Rights Act of 1964, a sweeping law prohibiting racial discrimination by those receiving federal financial assistance. Experts say the provision presents a significant legal tool for combating environmental injustice. Time and again, however, communities of color living in the shadows of sewage plants, incinerators, steel mills, landfills and other industrial facilities across the country — from Baton Rouge to Syracuse, Phoenix to Chapel Hill — have found their claims denied by the EPA’s civil-rights office, an investigation by the Center for Public Integrity and NBC News shows. In its 22-year history of processing environmental discrimination complaints, the office has never once made a formal finding of a Title VI violation. Months after receiving the Baton Rouge community’s Title VI complaint, the office rejected it. Investigators declined to examine the claim that the city had violated the civil rights of black property owners around the North plant, citing a pending lawsuit filed by residents against the city. The Baton Rouge case is extreme but not unique. The Center filed a Freedom of Information Act request seeking every Title VI complaint submitted to the office, and every resolution of those complaints, since the mid-1990s. The agency produced records representing most of the complaints handled in that time, but not all. The records, consisting of thousands of pages of documents, cover 265 Title VI cases and stretch from 1996 to mid-2013. The records reveal a striking pattern: More than nine of every 10 times communities have turned to it for help, the civil-rights office has either rejected or dismissed their Title VI complaints. In the majority, the office rejected claims without pursuing investigations. On the few occasions that it did, it dismissed cases more often than it proposed sanctions or remedies. Records show the office has failed to execute its authority to investigate claims even when it has reason to believe discrimination could be occurring, such as in Baton Rouge. Accepted 13 for investigations that remain open today, the oldest begun in 1996. The EPA rejected complaints for a host of procedural reasons, records show. The most common reason (95 cases), complaints were denied was because the EPA said their targets did not receive agency funding, as is required by law. Other complaints (62) came in too late for action, it said, because they fell outside a 180-day time limit that the agency has authority to waive. Still others (52) were tossed because of “insufficient” claims, meaning they did not adequately describe the alleged discriminatory acts forbidden under Title VI. The EPA, in essence, requires complainants to have knowledge of civil-rights law and other nuances before filing a case. They are assumed to know, for example, that Title VI does not apply to private companies unless they receive EPA funding. One thing is clear: While the reasons vary, the EPA’s civil-rights office rarely closes Title VI complaints alleging environmental injustice with formal action on behalf of communities of color. Indeed, as the records reveal, the agency often found allegations “moot” precisely because of its own inaction. Agency regulations set a 20-day deadline for the office to determine whether it will investigate a case. Yet in cases dismissed as moot — nine over 17 years, or 4 percent — the EPA took, on average, 254 days — excluding weekends and holidays — just to make such a jurisdictional decision. The delay, in itself, is a form of denial. At times, the EPA has taken so long to decide whether to open an inquiry that situations on the ground changed — an asphalt plant closed, for instance, or a waste facility withdrew its permit application. Other times, communities have remained in limbo for years as agency investigators ruled on the alleged discrimination. In July, five communities — in Alabama, Michigan, Texas, New Mexico and California — sued the EPA for failing to finish investigations pending for more than a decade. The litigation, filed by the environmental law firm Earthjustice, challenged what it called the agency’s “pattern and practice of unreasonable delay…” The delays have forced residents to endure pollution from a landfill, an oil refinery and three power plants, the lawsuit said. The EPA itself classifies two of the power plants and the refinery as “significant” violators of the Clean Air Act. Even among the small universe of cases sparking action — 64 over 17 years, or 25 percent — records suggest the civil-rights office rarely closes investigations with formal sanctions or remedies. Under Title VI, EPA officials can correct an act deemed discriminatory by requiring reforms, or overturning decisions. It can also withhold funding or refer cases to the Justice Department for prosecution. Only nine cases have been settled through agreements brokered between agency officials and targets of complaints. Another three cases have been closed through “alternative dispute resolutions,” meaning the complainants and the targets hashed out solutions. Asked about this record, the EPA did not dispute the Center’s findings. Instead, the head of the EPA’s civil-rights office, Velveta Golightly-Howell, declined to discuss cases prior to her tenure, which began in February 2014. In a half-hour telephone interview with the Center and NBC News, she stressed that the EPA is committed to “making a visible difference in communities,” and is “making a lot of strides” to improve its Title VI enforcement. She acknowledged that “there have been some problems in the past” processing Title VI complaints. To advocates, the EPA’s pattern of denials, delays and dismissals speaks louder than the agency’s words — from not only Golightly-Howell, but also Administrator Gina McCarthy, who in March gave the keynote address at a national conference on environmental justice, in Washington, D.C. Throughout her 20-minute speech, the administrator touted how the agency has promoted environmental justice in disadvantaged communities across the country. Not once did she mention the agency’s civil-rights office. The dysfunction has been well known to EPA officials for years. Auditors and advocates alike have criticized the agency’s civil-rights office for such systemic failures as compiling a lengthy backlog, having an opaque complaint process and misconstruing a key legal standard. In the past decade, reviewers, internal and external, have offered critiques. The EPA moved slowly to process complaints, Deloitte found. “Only 6% of the 247 Title VI complaints [reviewed by Deloitte] have been accepted or dismissed within the Agency 20-day time limit,” the audit stated. The backlog of cases stretched back a decade, to 2001. The report depicted an office in turmoil. Managers had little ability to track employee performance. Record keeping was spotty. The civil-rights program took few steps to tap into EPA’s larger resources, and connect with state environmental agencies — a lack of outreach that left it operating in an insular fashion. The result: An office that appeared more ceremonial than meaningful, with communities left in the lurch. In the years following the Deloitte audit, the office has taken steps to address its findings — tackling its massive backlog, for instance, and issuing two agency-wide orders to create what she called a “model” civil rights program. The office has been “proactive,” Golightly-Howell said, adding a grant condition ensuring that those receiving EPA funding comply with civil-rights law. According to a progress report released in May, the office is also developing a “toolkit” to help state and local agencies understand the law, as well as a manual for EPA investigators who examine complaints. “The whole goal is not to have complaints sitting in the office for years and years and years without there being some resolution,” Golightly-Howell said. For communities, the changes have meant little. That has been true, for example, for residents of the Rogers Road-Eubanks Road neighborhood, in Chapel Hill, North Carolina, whose case has been stuck in the EPA’s Title VI complaint pipeline for eight years now. The historically African-American neighborhood is the site of an expansive county solid-waste landfill and transfer station collecting auto parts, biological waste, transformers — “you name it,” said Robert Lee Campbell, of the Rogers-Eubanks Neighborhood Association. In 2007, the association filed a Title VI complaint alleging that local government agencies discriminated against the adjacent black property owners, first siting the landfill there, and then not providing such basic amenities as water and sewer services. It followed up with a 2011 addendum of allegations to bolster its case. It took nearly a year for residents to hear from the EPA’s civil-rights office, which in 2008 and again in 2011 requested more information. Over the years, Campbell recalled his association and its lawyers sending the agency 12, two-pound boxes of documentation. They fielded occasional phone calls from an ever-rotating roster of agency investigators. By 2013, the EPA had denied some of the residents’ claims on procedural grounds, but not all. The agency accepted the amended complaint for investigation almost a year after the county, responding to residents’ decades-old political activism, shuttered the landfill. In its place the county has installed trash-disposal operations handling yard debris and electronics waste, along with a recycling center. Today, the case is languishing on the agency’s current list of 17 open investigations. Cases that have seen action from the EPA since the Deloitte report have not necessarily fared better. Consider the outcome for residents in California’s San Joaquin Valley, who, as far back as 1994, complained to the EPA about the sulfur and garlic-like chemical odors and the clusters of chronic illnesses surrounding three hazardous-waste facilities there. The mostly Latino communities of Kettleman City, Buttonwillow and Westmorland bore the brunt of these impacts, residents said, yet had little opportunity to participate in the permitting processes. The EPA’s civil-rights office accepted the complaint for investigation in 1995, but took 17 years to examine the allegations. Only after residents had sued the EPA, in 2011, did the agency act. In 2012, the EPA dismissed the case without ruling on whether the sites discriminated against residents. The agency also said it could trace no adverse health impacts to the three facilities, even though they lie within an area the agency has found exceeds all air-quality standards. EPA’s decision came down in the middle of the lawsuit, which the court then dismissed as moot. An appellate court affirmed that decision. In Baton Rouge, residents of the University Place subdivision have not given up on the EPA’s civil-rights office — yet. Viewing theirs as a classic struggle against environmental discrimination, they have pressed the agency for help — again and again — in recent years. “I wanted EPA to do its job,’” said Gregory Mitchell, the lead community activist, explaining why he and as many as 312 other residents have signed on to the Title VI complaints. When the North sewage plant began operating in 1960, the structure was barely visible to its neighbors. Over the years, the city has transformed it into an industrial complex stretching for blocks, separated from houses by a two-lane road. As the plant grew larger, community staples faded. A ballpark was closed, a community store shuttered. In their place came the flies and the stench. State records document the hazards. The problem was so bad, Mitchell said, that the city used to supply her with air fresheners and boxes of bug killers. Still, the swarms kept coming, fouling the outdoor calm she said she found when she moved to the house in 1972. By the time she and other residents turned to the EPA’s civil-rights office six years ago, they had long since sued the city. Their lawsuit, filed in 1996, was stuck in the courts for more than a decade. It ended in 2010 with a ruling that the plaintiffs were not entitled to recover personal-injury damages. Clean Water Act litigation filed by the residents and a local environmental group eventually yielded some relief, helping to lay the groundwork for a city vote in 2013 to relocate some away from the sewage plant and to create a “buffer” area, a process that is ongoing. All the while, residents have pushed the EPA for help. Gregory Mitchell did not sit idly as the civil-rights office weighed his requests for action, and then dismissed them starting in 2010. He peppered regulators with constant pleas. “We the citizens/I would like an update on the status of the civil rights and EJ [environmental justice] paper work which has been in your office for a very long time,” he wrote in May 2012. Another official told him his latest complaint was still under jurisdictional review, meaning the agency was considering whether to open an investigation. By August of 2012, plant critics’ patience was wearing thin. Mitchell said the community lives with the smells and sewer flies every day. Over the years, he said, agency investigators have mentioned other reasons the civil-rights office might deny his claims — questioning whether the city was receiving EPA funding, for instance. He has filed a fifth, still-pending complaint to the civil-rights office. Asked about Baton Rouge, the EPA referred to its rejection letters explaining why the cases were closed. The agency said it has helped the community in other ways, supporting an agreement by the city council to relocate residents away from the sewage plant, and “to create a 300-foot buffer zone around the facility.” Under a U.S.-city consent decree dating to 1988, the agency’s regional office in Dallas has monitored North plant operations. The decree settled an EPA enforcement action brought against the city after years of water pollution violations. “Although the OCR rejected the referenced complaints, the Office supported EPA Region 6’s other efforts to mitigate environmental health issues stemming from the [North] Wastewater Treatment Plant,” the agency said in a written statement. The plant is undertaking $24.1 million in odor- control projects as well, according to the agency. EPA officials “continue to monitor the implementation of these efforts,” the agency said. Many residents have now chosen to flee. Even the Mitchell family, long the neighborhood’s holdout, has left the subdivision in recent months. Still residing in Baton Rouge, Gregory Mitchell said his family as well as his mother and her siblings do not miss the malodorous sewage plant. But they had to abandon homes in which they had lived for many years and neighbors to whom they had grown close. “Our community is gone. It’s no longer there,” said Mitchell, who, if rejected yet again, plans to file a sixth Title VI complaint with the EPA. Clarification, August 3, 2015, 9:28 a.m.: An earlier version of this story said that Title VI does not apply to private companies. The phrase “unless they receive EPA funding” was added for clarity. The waters wound through a South that was still defined by agricultural labor and debt peonage. Like the Mississippi itself, tumbling along a route constructed for it by a primitive levee system, the disaster followed a path that had been engineered beforehand, disproportionately affecting the poor, mostly black laborers who were anchored to the land by sharecropping contracts. In some instances, Red Cross supplies were disbursed to landlords, who sold them to tenant farmers. Tent encampments (then known as concentration camps) allowed entry to blacks fleeing the storm but required that they obtain special passes in order to leave. The black labor force was already diminished by the Great Migration, and the main concern was to insure that blacks would not use the flood as an opportunity to flee North. Herbert Hoover, the Secretary of Commerce, was appointed to head the recovery effort. In response to allegations of racism and mistreatment, he appointed a commission led by Robert Moton, a protégé of Booker T. Washington’s, and his successor at the Tuskegee Institute, to examine the charges. That report was not issued until 1929, safely after the 1928 election, in which Hoover had feared losing the traditionally Republican black vote, but the damage was inescapable. In 1932, African-Americans deserted the G.O.P. to support Franklin Roosevelt, beginning a major realignment in American politics, and Hoover’s handling of the catastrophe was part of the reason for the shift. As Richard Mizelle writes, in his history of the flood (also titled “Backwater Blues”), what happened in 1927 is “part of a much longer narrative of how race, class, gender, and questions of social worth are framed through an environmental disaster.”That pattern has grown only more apparent. History, social science, and common sense have made it increasingly difficult not to consider the term “natural disaster” as a linguistic diversion, one that carries a hint of absolution. Hurricanes, earthquakes, and floods are natural phenomena; disasters, however, are often the work of humankind. The earthquake that struck Haiti in 2010 was two orders of magnitude weaker than the one that struck off the coast of Japan in 2011, yet it resulted in fifteen times more fatalities. The disparity was largely due to the relative geopolitical and economic standings of the two nations, and the corresponding standards of housing. A decade after Hurricane Katrina, the images that it produced remain fresh in memory: bodies floating by major thoroughfares, the horrorscape of the Superdome, people stranded on rooftops like urban castaways. Official estimates hold that eighteen hundred and thirty- three people died as a result of the hurricane and the subsequent breaches of the levees. There is a temptation to say that the storm also swept away a particular kind of innocence about American poverty, but, in the days afterward, polls showed stark disparities in how blacks and whites viewed the federal government’s tardy response to the crisis and the role that race played in it. Sixty per cent of blacks said that the response was slow because of the race of the storm’s primary victims; only about twelve per cent of whites concurred. Sixty- three per cent of blacks felt that the response was slow because the victims were poor, a sentiment shared by just twenty-one per cent of whites. Katrina didn’t usher in a new narrative about race in America as much as it confirmed an old one. In 2006, Lil Wayne, a New Orleans native, released “Georgia . . . Bush,” an indignant screed in which he claimed that the hurricane should have been named for the President who had presided over the mismanagement of the calamity. In the song, Wayne repeated a commonly held belief that the levees in the Lower Ninth Ward didn’t fail but were detonated, so that the more valuable white neighborhoods would be spared—a rumor that also spread about the flood that engulfed the city after Hurricane Betsy, in 1965. The past haunts at the peripheries. For one set of people, Katrina was a tragedy compounded by ineptitude; for another, it was a recasting of a drama that stretched back at least eight decades and suggested that, if the past is prologue, the disaster was not just predictable but possibly inevitable. Residents of St. Bernard Parish, who blocked the roads in order to keep black residents leaving the city from coming through their community, were playing a part similar to that of those who, nearly eighty years ago, refused to allow blacks to leave the relief camps. In 2013, the Parish paid $2.5 million to settle lawsuits, one filed by the Department of Justice, alleging that it had contrived ordinances to prevent African Americans from moving there after the storm. The population of New Orleans went from being sixty-seven per cent black, in 2005, to fifty-nine per cent, in 2013, which literally changed the color of the electoral politics in the city. The ghosts of the past remain discernible in at least one other way. Media reports often referred to New Orleanians displaced by Katrina as “refugees,” a word that, in a CNN/USA Today/Gallup poll, seventy-seven per cent of blacks, and just thirty-seven per cent of whites, took exception to. The term, with its connotations of foreigners crossing borders to seek asylum, cut closer to the bone in a population whose citizenship has so frequently been challenged. Katrina can be viewed as the first of a series of crises that seem to have become a referendum on black citizenship. The poll respondents were asked if they were “bothered” by the word “refugee.” The presumption was that many took issue with a loaded term being applied inaccurately. 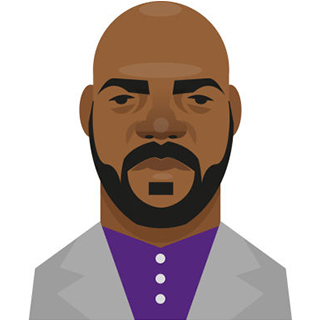 A decade later, it’s worth wondering whether they were “bothered” by a fear that “refugee,” not “citizen,” had been the most apt description all along. .
Jelani Cobb has been a contributor to The New Yorker and newyorker.com since 2013, writing frequently about race, politics, history, and culture. An increasing amount of research suggests the environment — an issue that has long been seen within the purview of progressive, white liberals — is now increasingly important to Latinos. A new poll conducted by Latino Decisions (a polling firm focusing on Hispanics in America) on behalf of two environmental nonprofit groups — Earthjustice and GreenLatinos — finds that Latinos are deeply concerned about the environment and its potential impact on their families. The poll shows that Latinos place a high priority on the personal effects of climate change, particularly air and water pollution. Eighty-five percent of those surveyed said “reducing smog and air pollution is extremely or very important”; compared with 80 percent for comprehensive immigration reform. And Latinos, more than other Americans, see climate change as a man-made problem. Sixty-six percent of Latinos in this most recent poll believe human activities are to blame for global warming, compared with 57 percent of the general population, according to a Gallup survey last year. This particular poll was small — a national sample of just 1,200 registered Latino voters who were interviewed via landlines and cellphones in English and Spanish. The poll has a margin of error of 2.8 percentage points. But the reason it’s important is that it confirms a growing a body of research about Latinos and environmental issues. A survey conducted earlier this year by The New York Times, Stanford University and the nonpartisan environmental group Resources for the Future found that 54 percent of Hispanics saw global warming as extremely or very important to them personally, compared with 37 percent of whites. And another study from the Hispanic Access Foundation and Latino Decisions analyzing nine different public opinion polls found similar Latino support for environmental protections. Collectively, these data indicate Latino voters are increasingly aligned with Democratic values on issues beyond immigration, which could have implications for the 2016 presidential campaign. “I think that to the extent that the Democrats are seen as the party that embraces a more pro-environmental position, that will advantage Democratic candidates,” Segura said. But while the environment may be a top priority for Latino voters, poll after poll finds the biggest priority for Latinos remains the economy. And that’s up for grabs. A newly released video from Good magazine, showing Hillary Clinton in a meeting being confronted by young activists from the Black Lives Matter movement, thrilled me to no end. It also depressed me just as much. The activists called on Clinton to answer for her and her husband’s part in the rise of mass incarceration in this country, a phenomenon that disproportionately affects black and brown people. Clinton pointed to her record on civil rights work, but she never apologized for, or even acknowledged, her and her husband’s role in giving America the dubious distinction of having the world’s highest incarceration rate. To me, the diversion was stunning, and telling. Politically, that may be true. She was agile and evasive, for sure. She bobbed and weaved like Floyd Mayweather. But there was a moral issue, an accountability issue, that still hung rotting in the ring: What in her has changed, now that she has seen the devastation a policy she advocated has wrought? This is the part of the Black Lives Matter political protests that I love so much: The idea that you must test the fealty of your supposed friends in addition to battling the fury of your avowed foes. The truth of America is that both liberals and conservatives alike have things for which they must answer, sins for which they must atone, when it comes to how the criminal justice system has been aimed at and unleashed upon black people in this country. And it’s not just the Clintons who have things they must answer for on criminal justice and black people. As I have written about before, toward the end of his tenure, President George W. Bush drastically reduced funding for the Byrne Formula Grant Program, which had been established by the Anti-Drug Abuse Act to supercharge the war on drugs — a disastrous boondoggle that would come to be a war waged primarily against marijuana use by black men. And these sins exist not only at the federal level, but also at the local level. Many of the recent cases have been in some of our most liberal cities — cities that, as Isabel Wilkerson brilliantly pointed out in January, were the very ones to which black Americans flocked during the Great Migration. Eric Garner was choked and killed by police in New York. Tamir Rice was shot and killed by police in Cleveland. Charley Saturmin Robinet was shot and killed by police in Los Angeles. In a way, these deadly interactions are connected to civic policies that not only implicate the police officers but the liberals who occupy these cities themselves. Stop-and-frisk existed, in obscene proportions, in New York. And yet, most white voters in the city said that they approved of the program, according to a 2012 Quinnipiac University poll. People from both sides of the aisle have cast poor black people to the wolves and averted their gaze from the ensuing carnage. But in a way, asking liberals to answer for their complicity is even more important than asking conservatives. But what if the same person saying that was partially responsible for changing the laws that allocated the resources that built up a system that operated as a tool of destruction? These young activists, indeed all of us, should expect liberals to have more direct answers for their own actions — and inactions — than the one Clinton gave. There can be no sacred cows when black people have been treated like sacrificial lambs. Many observers are perplexed by the decision of some Black Lives Matter activists to twice disrupt attempted addresses by presidential hopeful Sen. Bernie Sanders. Well, I am not perplexed. The new generation of civil rights activists never accepted “trickle-down economics” from conservatives. Today they are rejecting “trickle-down justice” from the liberals. I love and admire Sanders. But until the Black Lives Matters activists started snatching away their microphones, economic populists like him rarely spotlighted the specific pain that has been building in the African-American community. Instead, they focused mainly on so-called “class issues” – including the need to defend Social Security and Medicare/Medicaid, rein in Wall Street and the Koch Brothers, and tax corporations and rich people. Many African-American leaders support those policies. But we have needed and wanted more. Our economic problems include an unemployment rate that is double that of whites, racially biased policing and court systems, predatory lenders who deliberately target black neighborhoods and public schools that expel black children at staggering rates for minor offenses. Over the years, many black leaders have asked the populists to include specific remedies for our specific ills. We have done this politely and behind closed doors. Often we would hear that their “progressive economic policies” would disproportionately help black folks, so we should be fine with our community’s needs never being addressed by name. It was infuriating. Sometimes, it seemed some Democratic politicians were happy to publicly name and embrace every part of the Democratic coalition – immigrants rights defenders, womens’ rights advocates, environmentalists and champions of LGBT equality. But not black people. At least, not explicitly – and certainly not comfortably. We were just supposed to sit there and hope that race-neutral rhetoric and race-neutral proposals might somehow fix our race-specific problems. Today’s young activists simply are not having any of it. In case anyone missed the memo after Ferguson, Baltimore and Charleston, here it is: the Obama era of black silence on issues that matter to us is over. And the entire Democratic Party needs to sit up and take notice. Black Lives Matter has elevated the national discussion of anti-black racism more dramatically than any movement in decades. It is the only “progressive” force besides Hillary Clinton that the GOP was forced to acknowledge in its first debate last week. By any measure, and especially for such a new phenomenon, that’s an extraordinary achievement. Pundits tend to portray the modern Democratic Party as having only two factions: the pro-business/Wall Street “moderates” (traditionally represented by the Clintons) versus the economic populists (now represented by Elizabeth Warren and Bernie Sanders). But a third force is rising: a growing, racial justice wing (best represented by the Dreamers and Black Lives Matter) that is highly suspicious of both – and finds the clueless hypocrisy of the second to be particularly grating. 1. Black Lives Matter is not a single organization. Black Lives Matter is not a single organization – at least not in the conventional sense. It represents the expression of tens of thousands of activists, doing what they think makes sense, in hundreds of different places. In that regard, it shares some features with Occupy, the tea party and the Arab Spring uprising. It is a “swarm” – a decentralized network, using an “open source” brand. Such phenomena are notoriously messy and difficult. But they are powerful and necessary to change anything in the present era. So I will not agree with every single choice, in every time and every place, made by every activist who is inspired by Black Lives Matter. But I don’t have to endorse or embrace every tactic for me still to speak with deep respect and warm regard for a force that is becoming the most important movement against anti-black racism in decades. I would hope that would be true of everyone. Whatever injury befell Sanders this weekend, worse injuries have fallen upon the young women who grabbed the microphone – perpetually made to feel wrong, out of place, less than, even criminal their whole lives purely based on the color of their skin. Obviously, that sad fact does not excuse anything and everything that any BLM-inspired activist does. But it is something that is useful to keep in mind, as we search for pathways to unity. It turns out the Seattle activists’ actions were aimed less at Sanders himself and more at racistpractices and policies being tolerated by local liberals in a supposed progressive bastion like Seattle. The Seattle Police Department has been under investigation for years for racist scandals and problematic use of force. Black children in King County schools are suspended at higher rates than their white peers. And the region is wasting $210 million on a new jailinstead of investing in communities. The gulf between the region’s political reputation and its racial reality is not surprising to me. Nor is Seattle unusual. Far too many progressives are working within social networks that are almost monolithically white. In my experience, too few have focused on building authentic bridges beyond their monochromatic comfort zones. Therefore, they are not really any more tuned in to the daily lives of people of color than the average moderate or even conservative. That’s why their prescriptions for change often ring hollow and fall flat – at least outside their own company. 3. … but it is fair to hold Sanders to a higher standard. Some argue that the #BlackLivesMatter movement should focus its fire on Republicans. But the GOP generally does not pretend to be a champion of the economic underdog. And unlike Hillary Clinton or Martin O’Malley, the central conceit of Sanders’ campaign is that he represents a voice of moral clarity against skyrocketing inequality. For example: any fair discussion of “income inequality” must necessarily include a denunciation of our racially biased criminal justice system. Always. After all, it is hard to get a job after a judge labels you a felon. African-Americans and white people do drugs at the same rate. But the system incarcerates African-Americans at SIX TIMES the rate of whites, for the exact same behavior. This injustice is a major driver of economic inequality in the black community. It should be a part of ANY speech about economic inequality in the United States – and not just in speeches made to black audiences. Therefore nobody should have had to push Sanders to tackle criminal justice issues. To the contrary, especially given the turmoil of the past year, the devastating impact of the incarceration industry should have been a key part of his very first speech as a presidential candidate. To his credit, Sanders has quickly and admirably adapted. Since BLM protesters disrupted his time on stage at Netroots Nation,Sanders has made powerful speeches and statements. He has posted important, relevantpolicy prescriptions on his website. Sanders’ 2015 rhetoric may finally start to match his pro-civil rights voting record in Congress. Of course, he could go further. And I suspect he will. 4. Bernie’s supporters have failed to keep pace with Sanders’ progress. Unfortunately, the vitriol from many of Sanders’ incensed backers is not helping his cause. It pains me to say this. But I continue to observe shocking levels of racial paternalism, arrogance and condescension in my personal and online interactions with Sanders’ outraged supporters. They remain tone-deaf or worse on issues that specifically or disproportionately hurt African Americans. And the situation seems to be getting worse, not better. One first-person account of the Sanders rally in Seattle says the mostly white, liberal crowd“turned ugly” after the activists spoke up. If this behavior had taken place at a tea party rally, Sanders’ supporters would have condemned it. Some so-called “progressives” even took tocombing through the social media accounts of the young women who have protested Sanders, in search of damaging statements. These are the same tactics that progressives denounce right-wingers for employing – when they try to smear any unarmed, young black person whom the police have killed. I do not know what kind of relationship the local white activists in Seattle actually have with young black/brown/native activists. But I bet it falls into one of three categories: nonexistent, tokenizing or condescending/condemning. Because, sadly, those are the only choices on the menu in most U.S. cities. Today’s young activists won’t put up with that relationship any longer. 5. Beyond emotions – here is the hard math. The challenge for all Democrats now is not raw emotion – but hard math. For Democrats to win the White House in 2016, African-Americans must give 90-95 percent of our votes to that party’s nominee. Not 50+1 percent of our vote. To put another Democrat in the White House, black folks must be practically UNANIMOUS in our support for a Democrat. AND then we will have to overcome hundreds of racist obstacles just to get to the poll: being unlawfully purged from voter rolls, getting targeted for voter ID harassment, being forced to stand in understaffed voting lines for hours and hours and more. AND after all that, we still must turn out in record numbers. Or the Democrats will lose. Period. Given that fact, younger African Americans rightfully expect each and every Democratic candidate to explicitly, loudly and enthusiastically address the pain and needs of black lives – to THEIR satisfaction. That’s fair – since those very candidates will expect those same young activists to turn out millions of voters for them in just a few months. And in pursuit of this goal, I think that most (if not all) of Black Lives Matters’ tactics – including and especially the iconic protest at Netroots Nation – are laudable, praiseworthy and inspired. Perhaps this generation of young black folks will be the last one the Democrats (and economic populists, generally) can simply presume to take for granted. If Black Lives Matter succeeds in that and nothing else, it will have built one of the most meaningful political movements of the 21st century. This article was originally written for CNN.com. The Environmental Protection Agency has been ignoring complaints about environmental racism across the United States for up to 20 years, repeatedly failing to investigate evidence that incinerators, power plants, and hazardous waste dumps are disproportionally harming the health of low-income communities of color, a new lawsuit charges. Filed July 15, 2015 by environmental advocacy organization Earthjustice on behalf of communities across the country, the lawsuit argues that the EPA failed to take adequate action in response to complaints that states were violating civil rights laws by granting permits to hazardous polluters primarily in poor and working-class Black and Latino neighborhoods. Residents and lawyers identify environmental racism relating to: two power plants in Pittsburg, California; a landfill in Tallassee, Alabama; a hazardous waste dump and treatment facility in Chaves County, New Mexico; a wood-incinerator power station in Flint, Michigan; and an oil refinery in Beaumont, Texas. In some places, states failed to fully consider the impact of the facilities on local communities. In others, state authorities “actively stopped residents from participating in public hearings on the permits, or provided them with inaccurate information,” a summary of the lawsuit charges. Complaints were filed to the EPA as early as 1994, with the most recent in 2003. Residents, still waiting for meaningful action from the EPA, say the federal agency is complicit in the harm being done to them. Neil Carman of the Sierra Club Lone Star Chapter told Common Dreams that the ExxonMobil oil refinery in Beaumont, Texas is right next to a 95 percent African-American community that has been complaining about severe air pollution. The July 15 suit charges that the EPA failed to meet its requirements under the Civil Rights Act and demands that the agency investigate and issue recommendations on all of the cases. Hurricane Sandy left a path of destruction in New Jersey. Superstorm Sandy continues to affect the lives of tens of thousands of New Jersey residents, in the form of unfinished repairs, disputed claims and recurrent mold. These after-effects still linger for Sandy-impacted residents and are associated with increased odds of residents experiencing mental health distress, post-traumatic stress disorder and depression. According to the Sandy Child and Family Health Study, a representative population study of 1 million New Jersey residents living in Sandy’s path, more than 100,000 New Jersey residents experienced significant structural damage to their primary homes from Superstorm Sandy. Based on findings released from this study, which was conducted by Rutgers University and New York University, in collaboration with Columbia University and Colorado State University, among those New Jersey residents whose homes suffered such damage, 27 percent are experiencing moderate or severe mental health distress and 14 percent report the signs and symptoms of PTSD even two and a half years after the storm. The first two briefing reports were released on July 30, 2015, “The Hurricane Sandy PLACE Report: Evacuation Decisions, Housing Issues and Sense of Community,” and “The Hurricane Sandy PERSON Report: Exposure, Health, Economic Burden and Social Well-Being” (www.scafh.org ). Additional briefing reports that focus on persistent and unmet needs, and the status of residents’ disaster recovery, will be released in the next several months. “Recovery, or stalled recovery, is not as dramatic as the storm and the initial response,” noted David Abramson, the study’s principal investigator. “But it is what exacts the greatest toll both financially and psychologically. Sandy may have occurred nearly three years ago, but it has had an enduring impact on those individuals and communities exposed to it,” he said. Among the study’s objectives were to help the state identify the health and well-being of residents exposed to the storm and to begin to identify unmet needs. Children in hurricane-damaged homes are at higher risk for mental health problems than children whose homes who suffered no damage. Children living in homes with minor damage were over four times as likely to feel sad or depressed as children in homes that were not damaged and more than twice as likely to have difficulty sleeping. Children whose homes suffered major damage were affected as well, although, interestingly, those in homes with minor damage demonstrated the most substantial mental health effects. The health effects associated with catastrophic damage to one’s home are similar to those felt by people living in deep poverty. A number of the residents whose homes suffered major damage said that they often did not have enough money for rent or mortgage, to pay for utilities, to pay for transportation, or to pay for all the food that they or their family needed. Mold was significantly associated with both asthma and with mental health distress. Despite the efforts of public officials to urge residents to move out of harm’s way prior to the storm, only one-third of the residents living in mandatory evacuation zones heeded the calls to evacuate their homes. The findings are based on face-to-face surveys with 1,000 randomly sampled New Jersey residents living in the state’s nine most-affected counties. The research team from the four universities deployed a team of nearly three dozen community-based interviewers to conduct the surveys. In addition, the team used flood storm surge data and housing damage data to identify a “disaster footprint,” the geographic area within New Jersey that was exposed to Sandy. The 1,000-person sample was drawn to be representative of the 1,047,000 residents living in this disaster footprint. The footprint extends from Cape May in the south of the state to several miles north of the George Washington Bridge, and stretches from the shoreline to over 20 miles inland. The New Jersey National Guard evacuating residents and their pets from Long Beach Island, NJ before Hurricane Sandy made landfall. The study is modeled upon a similar five-year study conducted by Abramson and Columbia University’s National Center for Disaster Preparedness in Louisiana and Mississippi after Hurricane Katrina, the Gulf Coast Child and Family Health Study. The Sandy study was funded by the New Jersey Department of Health using Social Services Block Grant (SSBG) – Sandy Supplemental funds. The Department of Health’s O’Dowd recognized this study as an opportunity to gain valuable, unprecedented insight on the public health impact of the storm on New Jersey residents and to guide the department’s recovery activities. Experts are further concerned that the results of this study reflect a pattern that is seen after many large-scale disasters in the U.S and internationally. “By far, one of the least understood aspects of disaster management is how to make recovery from catastrophic events efficient and rapid, so that people can return to a state of normalcy as quickly as possible,” said Irwin Redlener, director of the National Center for Disaster Preparedness at Columbia University’s Earth Institute. “This prolonged uncertainty and persistent trauma are very difficult for families and especially traumatic for children,” added Redlener, who is president of the Children’s Health Fund and a professor at the Mailman School of Public Health. The study is a partnership of four academic centers – the Program on Population Impact, Recovery, and Resiliency (PiR2) at NYU’s College of Global Public Health, led by Abramson; the Institute for Families, at Rutgers’ School of Social Work, represented by Donna Van Alst, Patricia Findley and Sandra Moroso; Columbia University’s National Center for Disaster Preparedness, represented by Irwin Redlener and Jonathan Sury; and Colorado State University’s Center for Disaster and Risk Analysis, led by Lori Peek. For media inquiries, contact Amber Hopkins-Jenkins at ah600@ucm.rutgers.edu or 848-932-0554. On July 30, 2015 the New York Times published ten videos, some taken by police cameras, some taken by bystanders, documenting recent interactions between citizens and police. One has to wonder how much of this kind of violence has not been caught on camera. Warning to readers: These videos include graphic scenes of violence. But while the events of the last few years did not prompt the decision to come back, they do make me relieved that the decision had already been made. It is why I have not once had second thoughts.If I had to pick a summer to leave, this would be the one. Another season of black parents grieving, police chiefs explaining and clueless anchors opining. Another season when America has to be reminded that black lives matter because black deaths at the hands of the state have been accepted as routine for so long. A summer ripe for rage. The evidence is not merely anecdotal. A study last year published in the American Psychological Association’s online Journal of Personality and Social Psychology revealed that white Americans overestimated the age of black boys over the age of 10 by an average of four and a half years; white respondents also assumed that black children were more culpable than whites or Latinos, particularly when the boys were matched with serious crimes. “Children in most societies are considered to be in a distinct group with characteristics such as innocence and the need for protection,” wrote Phillip Atiba Goff PhD, of the University of California, Los Angeles.“Our research found that black boys can be seen as responsible for their actions at an age when white boys still benefit from the assumption that children are essentially innocent.” My son is tall for his age; these are the things you worry about.